According to the Organic Trade Association , “there is mounting evidence that if all the indirect costs of conventional food production—cleanup of polluted water, replacement of eroded soils, costs of health care for farmers and their workers—were factored into the price of food, organic foods would cost the same or, more likely, be cheaper.” We are just learning about what the harmful effects pesticides have on our bodies. It is too soon to tell what health care costs will be associated with all of the chemical exposure. Buying organic is certainly worth it. “EatingWell” Magazine has recently become one of my favorite sources for good, healthy information. There is so much to read on this site, and all of it is helpful in efforts to live a clean, healthy life. Check out their newsletters, recipes, articles, and more. I follow them on Facebook as well. Find out what everyday items are the worst for your health in terms of chemicals and toxins and what you can do about it. Nobody knows just how much of a risk toxins in our food really pose. Most of the associations between chemical exposures and disease are just that—associations. But we’re exposed to dozens, if not hundreds, of chemicals, and the effects of some multiple exposures may be more than the sum of their parts, say experts. Or, in some cases, they might cancel each other out. What’s more, toxins get into our bodies through more than just food. We are exposed to them through our carpets, lawn chemicals—even our clothing. Check out these 7 toxins you can avoid in your diet and get simple solutions for minimizing these chemicals and toxins in your diet and life. 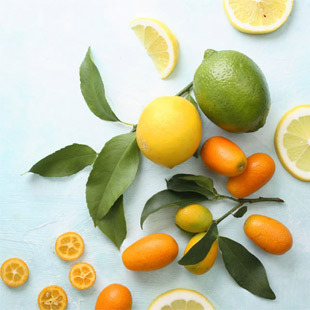 Here’s you link to the article: http://www.eatingwell.com/food_news_origins/organic_natural/7_simple_ways_to_detox_your_diet_and_your_home Enjoy. Google News is one of the ways that I search for the latest organic products information. Today I found a press release about this terrific interview. Here is the first paragraph and a link to the original article. The Newman products and their company philosophy have such a benefit to all of us. So glad she’s on this path! Nell Newman, founder of Newman’s Own Organics, grew up tomboy-style in the Connecticut woods, fishing and hiking and exploring the natural world. Soon after graduating from college, where she earned a degree in human ecology, she worked to re-establish the bald eagle in Central California. Now in her late 40s, Newman is an avid Santa Cruz surfer and angler who occasionally reels in her own salmon for dinner. 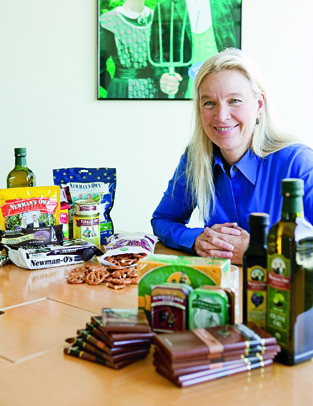 As photogenic as her famous parents, Paul Newman and Joanne Woodward, and as business-savvy as most Harvard MBAs, Nell Newman has been a major force in the organic food business. She welcomed us into her Aptos office to talk about her career. Found this today in the Green Bay Press Gazette. Today’s shoppers can choose from an increasing array of foods labeled organic. But while organic foods continue to grow in popularity, they often seem to come with a higher price tag. Organic food production is strictly regulated by the U.S. Department of Agriculture. Farmers cannot use synthetic pesticides, growth hormones, antibiotics, genetic engineering, chemical fertilizers or waste products in the growing process. And organic foods must come from farms that have been certified organic by the USDA. All these requirements can boost the cost of producing foods with the organic label. Read complete article here. Frugal is a term that invokes a lot of feelings for people. Buying organic foods is not a concept most people think can coexist with a frugal lifestyle. But the truth is that with smart shopping and careful planning, organic foods can fit in a modest household budget. The Environmental Working Group has published a list of what it calls the Dirty Dozen. These 12 foods have the highest concentrations of pesticides that remain in or on produce, based on data from USDA and EPA testing. If you have a limited budget, you should consider buying these products organic whenever possible. The Dirty Dozen consists of apples, celery, strawberries, peaches, spinach, imported nectarines, imported grapes, sweet bell peppers, potatoes, domestic blueberries, lettuce and kale and other types of collard greens. The group also has published a list called the Clean Fifteen, a list of the 15 least pesticide-absorbent produce on the market. Buying these products organic does not have to be a priority because the differences between regular and organic are minimal. The Clean Fifteen are onions, sweet corn, pineapples, avocado, asparagus, sweet peas, mangoes, eggplant, domestic cantaloupe, kiwi, cabbage, watermelon, sweet potatoes, grapefruit and mushrooms. To print this list in a wallet-size reminder, go to www.ewg.org. Follow this link to read the entire article: Coupon Lady She gives other good tips and website links. Great Article!! There has been an increase in the amount of organic skin care products being purchased by consumers as they are realizing that what you put on your skin matters. Natural skin care products are healthier for the skin and safer for the environment. What’s more, people are also aware of the harmful ingredients in traditional skincare product lines. In fact there was a study performed by Mount Sinai School of Medicine in New York City and they discovered industrial compounds, and alarming results. This study found 91 pollutants and other chemicals in the blood and urine of participants, many of which were traced back to non-organic beauty products. Experts also discovered that 60 percent of ingredients within natural skin care products are absorbed through the skin and into a person’s bloodstream. Worse yet, when these harmful ingredients are used even for a few years, they can lead to a buildup in your organs of unwanted chemicals and sometimes, unexplained illness. You can protect yourself before this happens. All you have to do is start using organic skin careproducts. The benefits include the fact that they rejuvenate the skin and also provide essential nutrients, keeps the skin feeling soft and smooth, givesthe appearance of youthful skin, and helps prevent acne. It is safer to use over an extended period of time because it doesn’t contain toxic chemicals. Organic skin care products are also more affordable. Like many people, you’re probably wondering how in the world organic skin care products can be less expensive than traditional products. With traditional products, a person will more likely use more of a particular product and need to buy it more often. For example, Geranium Cream Moisturizer for dry-damage skin may cost more than the average cream moisturizers you find at traditional stores for $8.99. That’s because it contains a variety of natural ingredients. It also lasts a lot longer than a jar of non-organic moisturizer. Non-organic skin care products contain a high percentage of water as a base ingredient. So, you’re basically purchasing a highly diluted product. It’s like buying expensive water. A person who uses non-organic cream moisturizers may go through two to three jars before they notice results which are usually only temporary. You’re actually saving more money when you buy organic skin care products because you consume less of the product, the results are visible earlier and they last because your skin is becoming healthier. Another disadvantage of non-organic products is that many use fillers and artificial thickeners to make products appear creamy and smooth. Also, beware of products that claim to be ‘natural’. These cheap imitations usually contain harmful ingredients. Make sure you read the ingredients of skincare products before you buy. Advantages of using organic skin care products are made from skin beneficial ingredients derived from the earth and not from chemicals or man-made ingredients. Another advantage of using organic products is that they rejuvenate the skin and stimulate cell growth. A non-organic product does the exact opposite. When you incorporate a healthy diet with natural, organic skin care products it will help you live a healthier lifestyle.